Balance Sheets are not typical targets of focus in software or services or “high tech” companies. Except for Cash, there are usually not much in terms of assets for analysts to contemplate. With outsourced manufacturing, even hardware companies don’t maintain depreciable assets on their books. Apple, as usual, is different. It turns out there is a lot there and there’s a lot to learn from what’s there. I’ve looked at the Cash and Long Term Securities in the past but in the next few posts I’ll dive into fixed (non-current) assets. Specifically Apple’s Property, Plant and Equipment. via It’s Official: Apple iDataCenter to North Carolina » Data Center Knowledge. When Apple committed to the North Carolina data center in mid-2009 the iPhone was two years old. Only 26 million iPhones had been sold to date (about as many as Apple now sells every quarter.) Clearly if the commitment was on such a scale there must have been a plan. A big plan. We don’t know for sure if NC was used last week or whether it was handling only part of the load, but let’s assume it was. What I want to think about is how much iCloud would thus cost and hence what would be the cost for alternative providers of such a service. That analysis might let us determine if “cloud” forms a substantial barrier to entry for competitors. Beside the public statement above (which may have been designed for political benefit) can we find any evidence of what Apple spent on data centers? That’s where the PP&E line comes in. 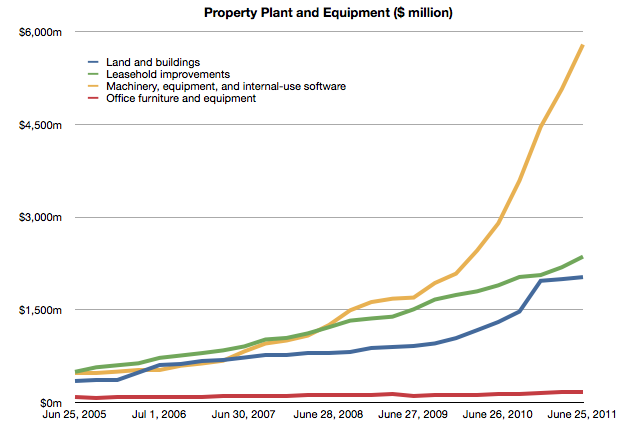 The following chart shows the Property, Plant and Equipment asset in Apple’s Balance Sheet. Each line represents a particular type of asset and its value at a particular point in time. I will now pay attention to the blue line, Land and Buildings. I’ll look at the other lines separately. Note that each line represent current value so it does not say directly what was happening in the quarter. However, if we look at the change q/q for a particular line we get how much new spending occurred in the quarter for that particular asset. There is also a clear cut-off on that spending at the end of 2010. The total spending during this time adds up to nearly exactly $1 billion. If we subtract $250 million for the Cupertino expansion we still have $750 million that must have gone into NC. Note that the original statement quoted above was $1 billion over nine years. 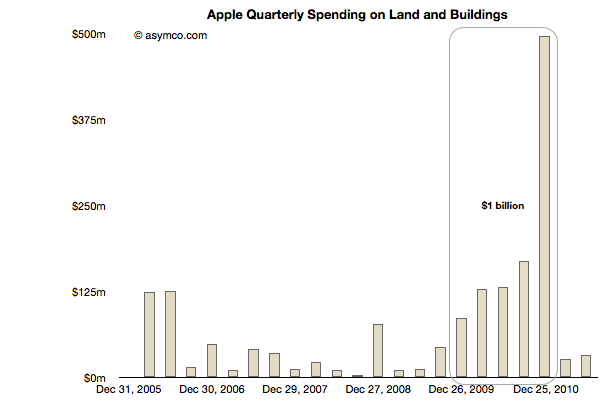 We can see that Apple spent $0.75 billion in one year. On the building alone. This is why I consider this a down payment. It does not include any of the equipment in the plant. It does not include the cost of operation (incl. labor) or any development costs (R&D). In fact, it does not include any of the funds that would be part of the nine year commitment. What this level of spending implies is that iCloud (and Siri and iTunes) are expensive. They may seem ephemeral and even trivial as services, but they require a staggering commitment few can make. Apple made that commitment and they made it early on, before the first quarter billion users were even on the horizon. 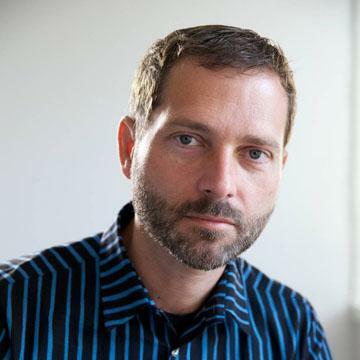 If platforms are moving from local to distributed and if value moves from selling things to “getting to know you” and if that knowledge requires infrastructure control then the number of companies that can participate in the market shrinks dramatically. Not only in terms of who has the capabilities, but who could even afford to acquire them. The invoices Apple pays are shown above. Apple’s retail stores are not included in these figures as Apple leases them. The cost of the stores will be discussed in a separate post. › Next Post How much does an Apple store cost?